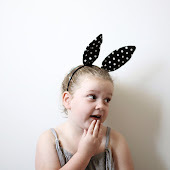 Sophie May doesn't need too much chocolate at Easter (she is crazy enough), so I thought it might be a good idea to make her the bag she's been hassling me for. 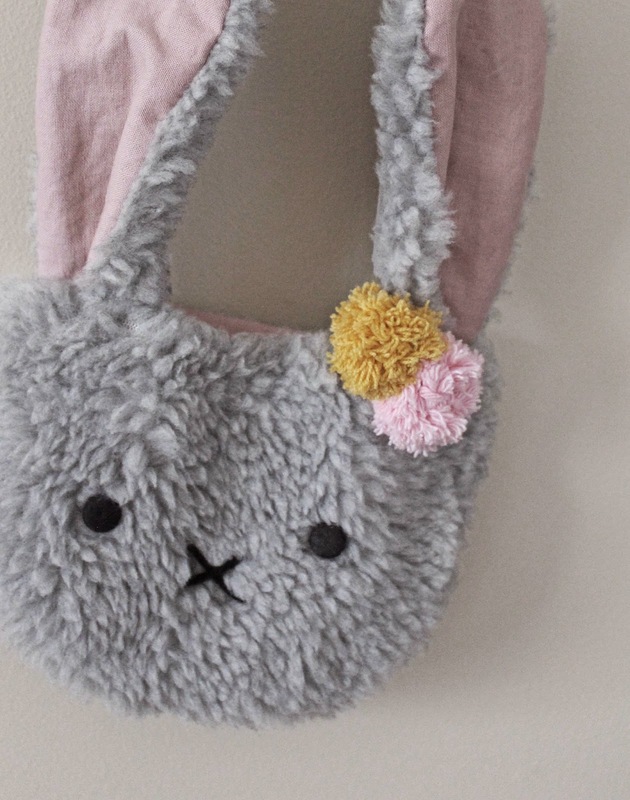 Luckily, I had just enough fur fabric left over from her last bunny hat to make her this matching bunny shoulder purse. I'm hoping she will be more impressed by this effort. This is really easy (promise!) and makes a good first project for a beginner. If cute bunnies aren't your thing, adjust the ear shape and change the face to make a bear or cat, or whatever takes your fancy. General sewing supplies - pins, needle, thread, a sewing machine, etc. *Or equal measure. 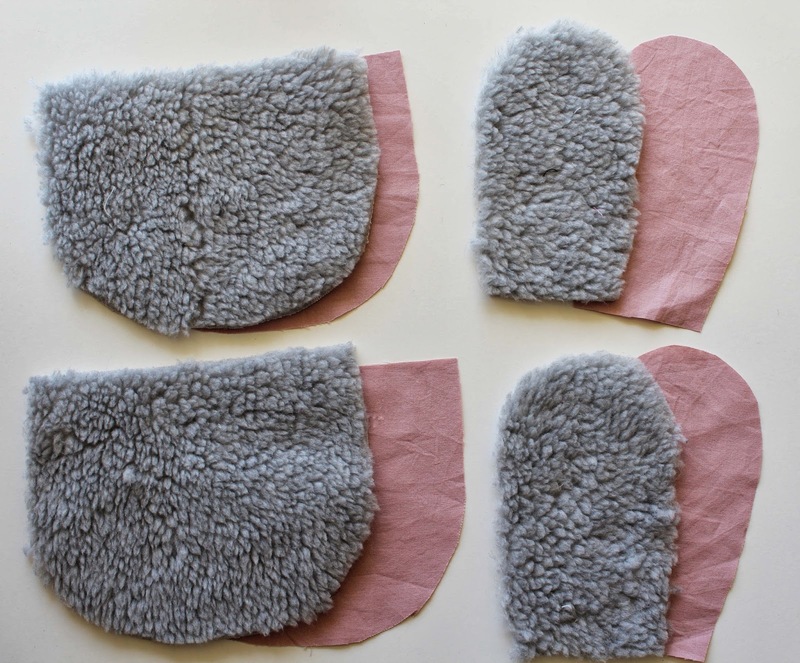 If your using a scrap or strip of fabric or the leg of an old pair of jeans, of course, just cut the pattern pieces as you can. 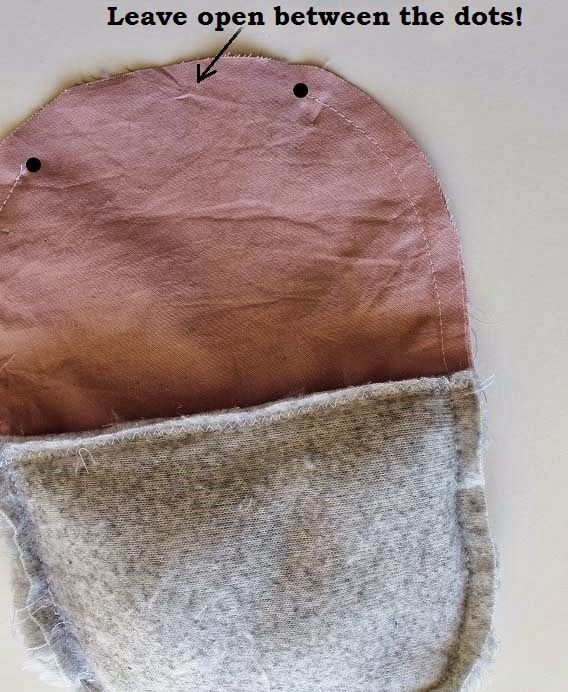 Take note of grain lines though, and if you're using fur, velveteen or corduroy, take note of the nap (there are good tips for working with fur here). **This measurement for the strap is the width and length I used for the bag shown, and is intended as a guide only. You may want to make a thinner strap or longer strap. Or instead of sewing the strap, you could use use ribbon or cording instead. Firstly, print out the pattern sheet and cut out the pieces (click on the image below to view full size image, then right click and save as a file, then print it). All pattern pieces include a 1 centimetre seam allowance. 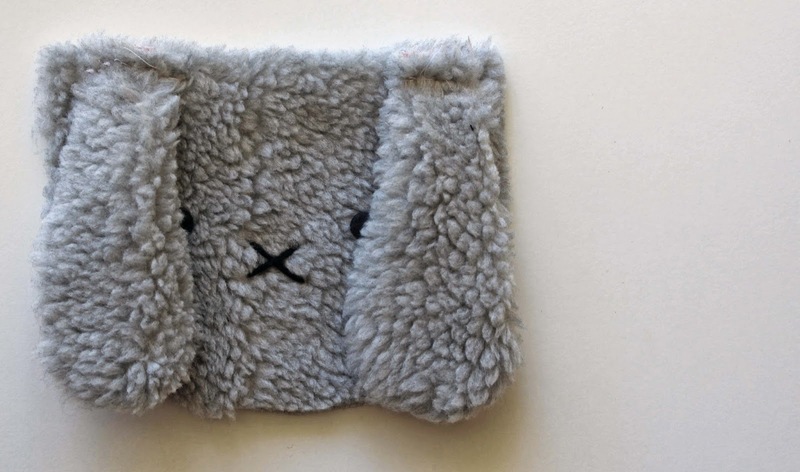 From the outer fabric, cut two bag pieces, and two ears. 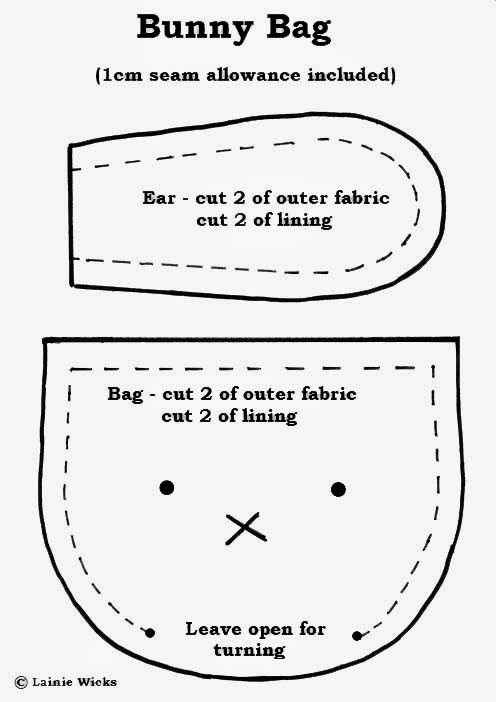 Cut the same from the fabric you're using for lining and the inner ear. 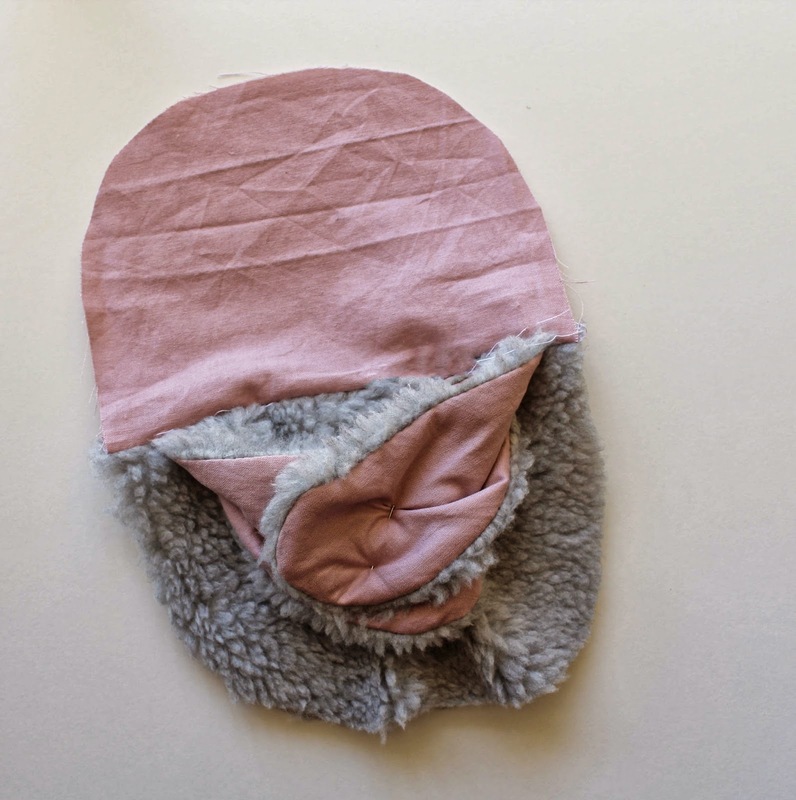 For each of the ears, place one outer and one inner ear piece right sides together. Stitch around the long sides, leaving the bottom open. Clip around curves, and then turn inside out. 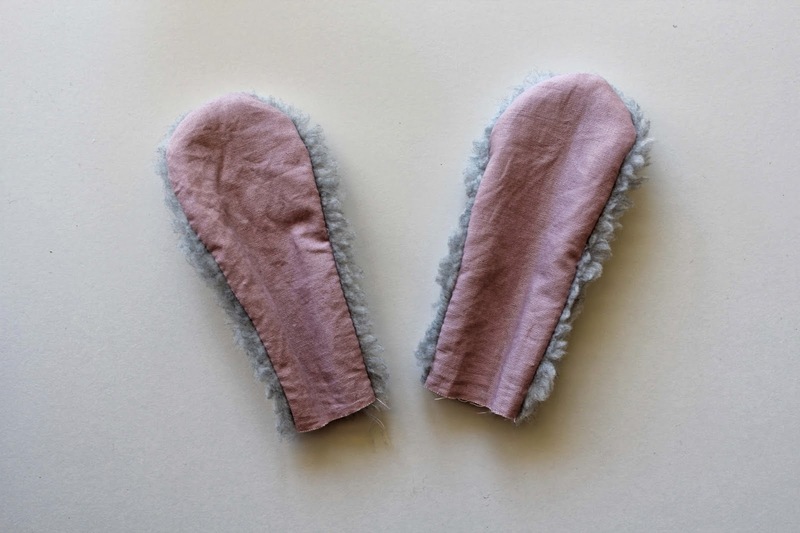 Lightly press the inner ear with a warm iron. Turn in one of the sides of the ear to meet the middle of the ear as shown. Pin, then hand baste. Do the same to the other ear as a mirror reflection. The two coloured ear inners should each point outwards. 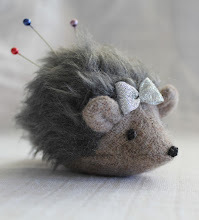 Sew your eye buttons into place. 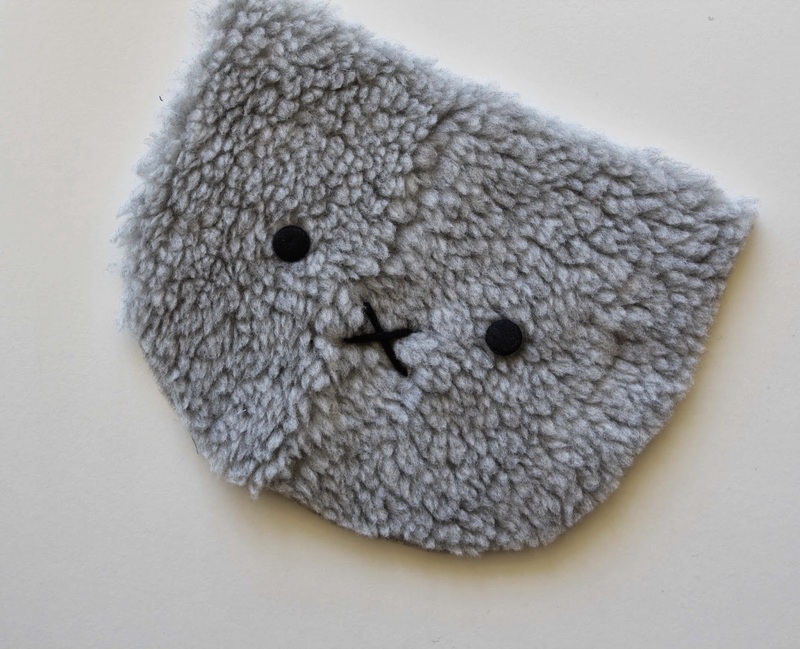 I used cotton yarn to embroider a simple Miffy-like nose in the shape of a cross. You may want to use a larger button, or pompom, or whatever you like. 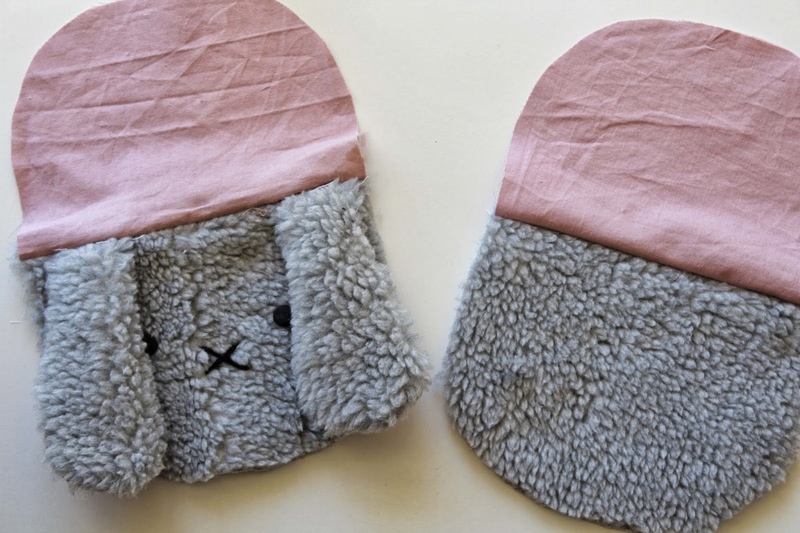 Remember that you have a 1cm seam allowance, pin the ears onto the rabbit face with the ears edges 1cm in from the edge. The ears inners are face down, and pointing outwards. Hand baste into place. Pin bag lining pieces onto outer pieces along the top, over the ears in the case of the bag's front. Stitch along the top with a 1cm seam allowance. Overcast the edges with a zigzag stitich if desired (just to give those edges a bit of added strength). And, this is what you should have so far! 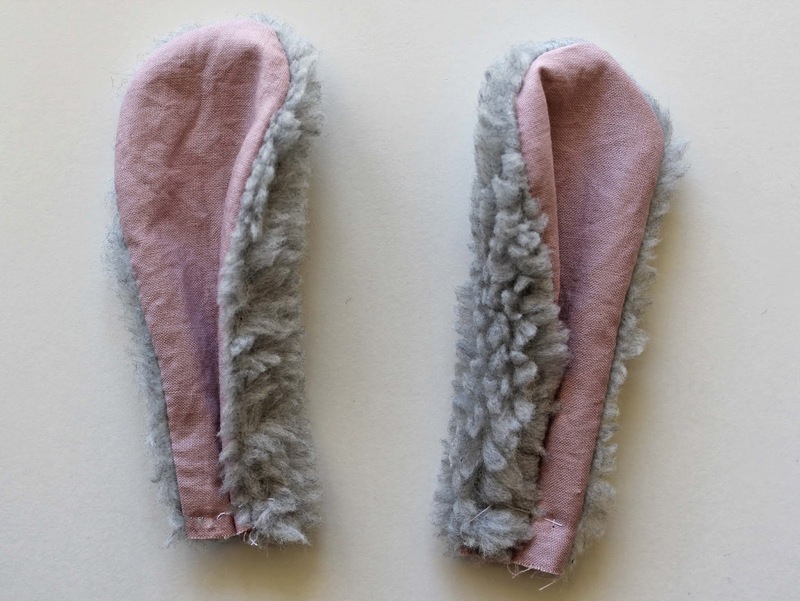 *Note - before you stitch the front and back together, it's a good idea to pin the ears as best you can in the middle of your work (pictured below), to stop them from getting caught in the seams. Pin back and front together, right sides facing, lining to lining, outer to outer. 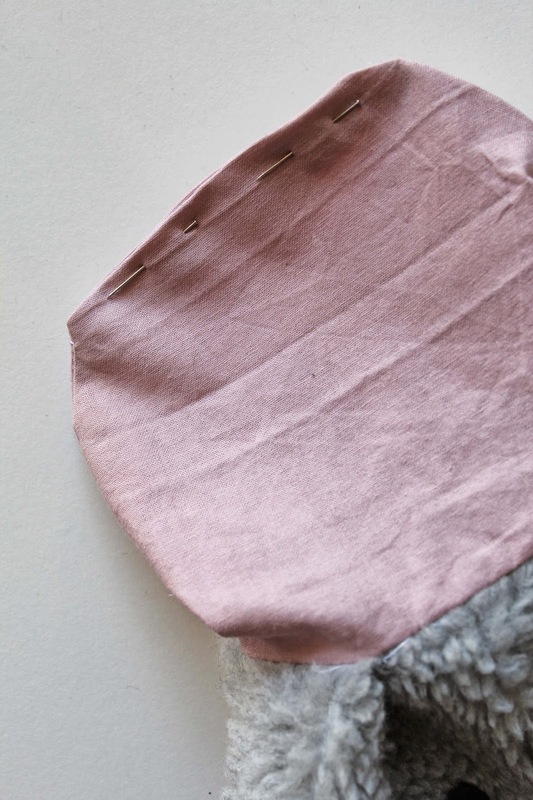 Stitch around the edges with a 1cm seam allowance, but leave a gap of about 10cm across the bottom of the lining section. This is where you'll turn it inside out. Then, you guessed it, turn it inside out. Along the gap, turn the seam allowance of the lining inwards and pin. Using a ladder stitch, sew the gap shut. (There's a quick how-to here if you don't know your ladder stitch.) Push the lining into the bag. Anchor the lining to the bag with hand stitches: thread a needle with double thread and knot end. 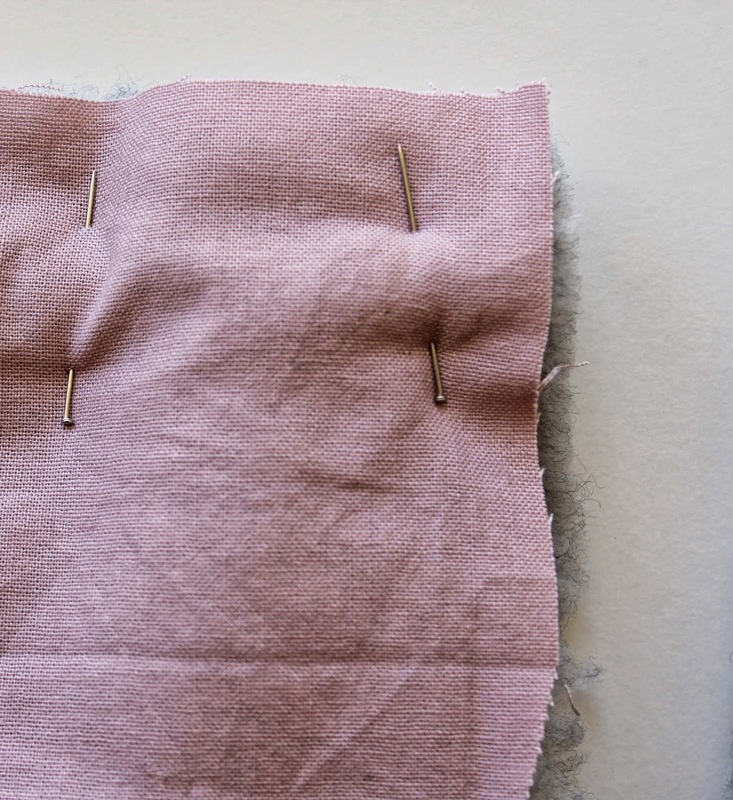 Take needle through the lining seam from inside bag and bring it out through the seam of the outer fabric, and then take needle back through the outer fabric seam and back through to inside. Do a couple more times in this spot, snip thread, and then do again in another one or two spots along the seam. This will stop the lining from moving about inside the bag. 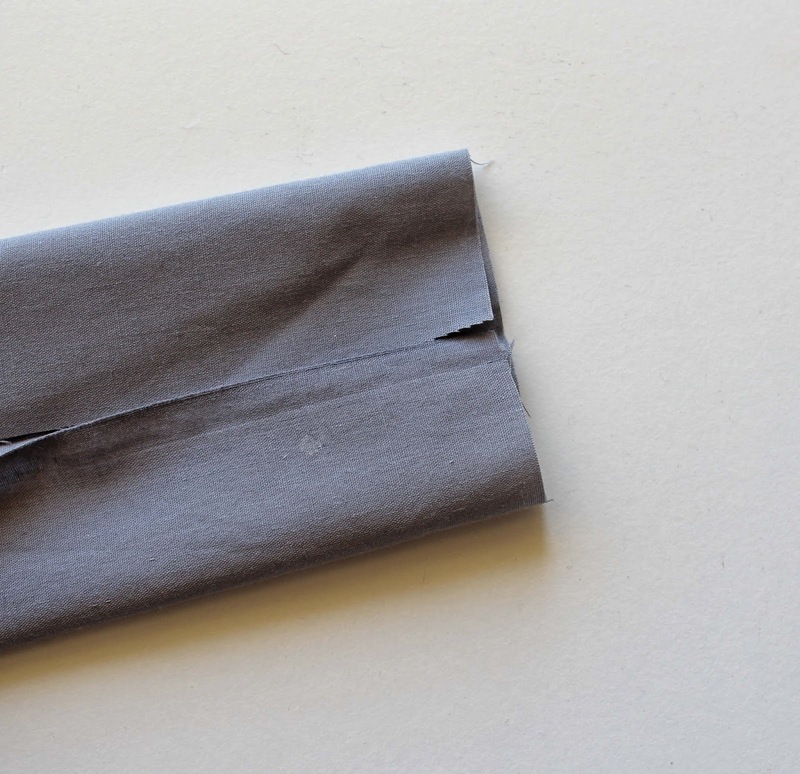 Attach press stud pieces inside the bag at the upper edge. Cut a piece of strap fabric about 15cm wide by approx 95 cm long (a guide only. This is the measurement of the strap used on the bag shown - your personal preference may be a thinner and/or longer strap, measure accordingly). 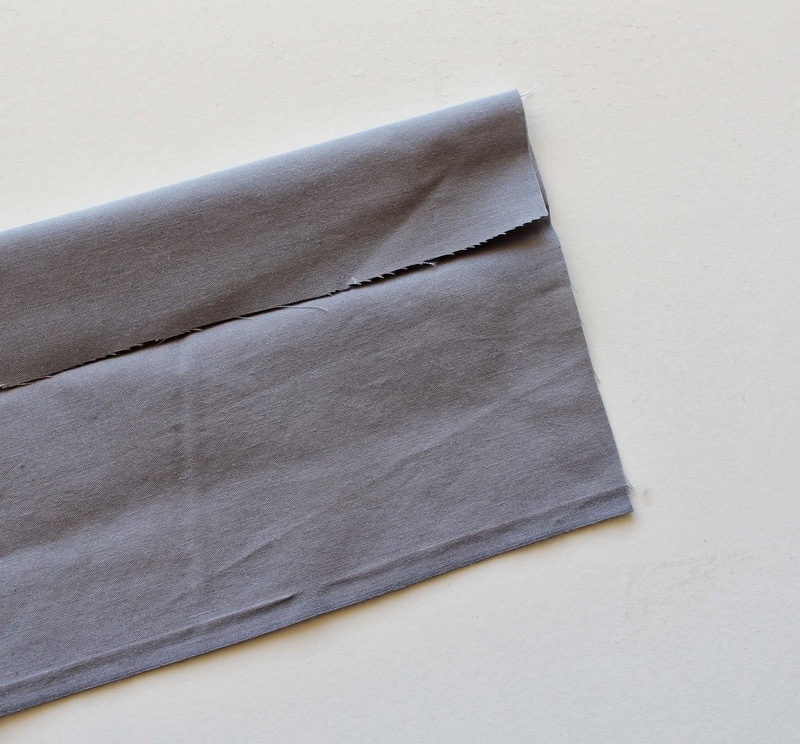 Fold in half lengthwise and press, so that you have a nice straight crease running along the middle of it's length. 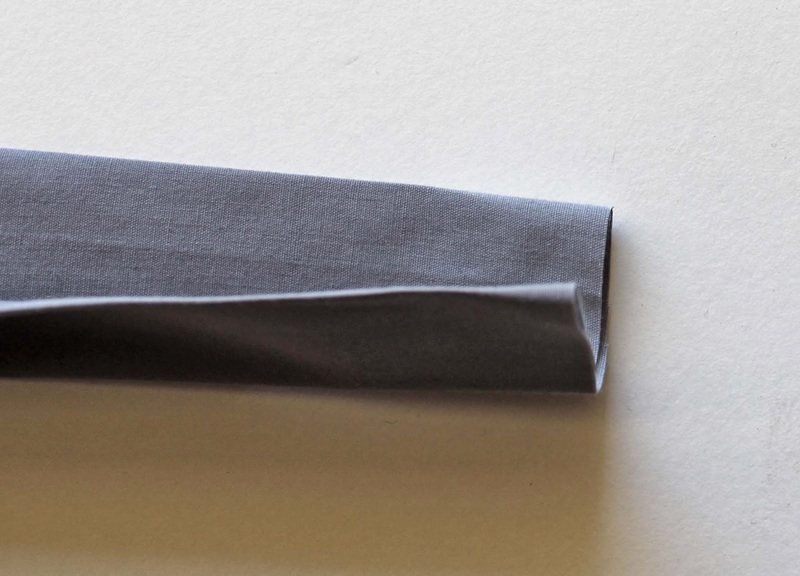 Turn each of the long edges inwards to meet the centre crease. Top-stitch along the long edges of the strap. Overcast the short edges with a zig zag stitch, and then turn under about 2.5 cm. Stitch in place. I stitched a criss-cross to help secure the end a bit more, but that's not necessary. 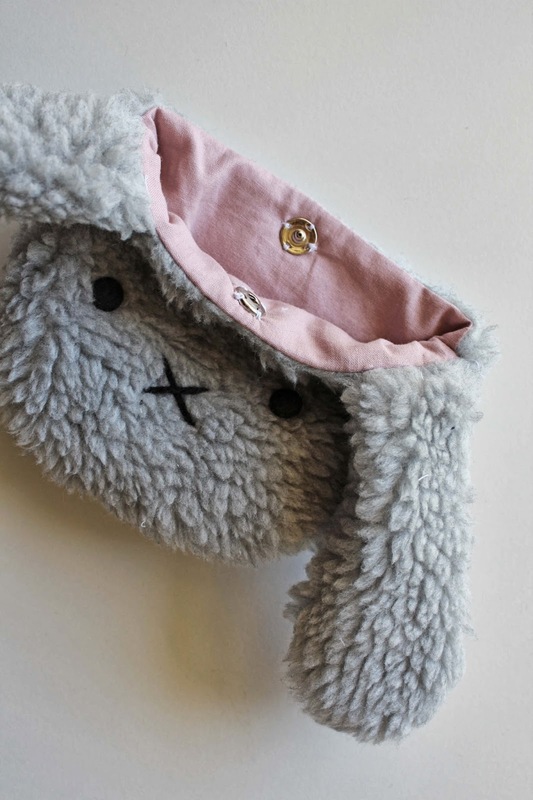 Pin the strap ends behind the ears on the front lining, the front edge of the strap facing up. Hand stitch in place with double thread all around the end of the strap ends. 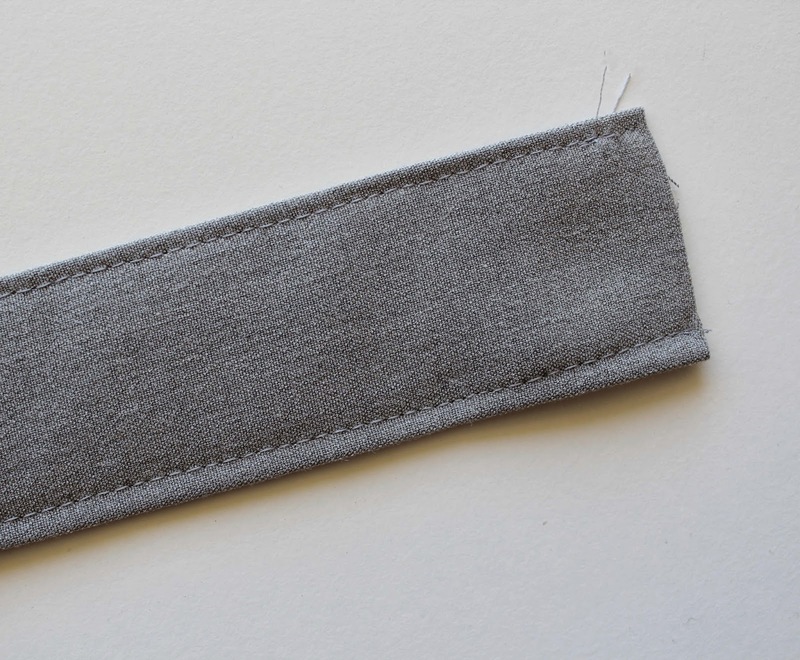 There will also be a gap between the strap and the lining behind the ear - stitch that up, too. 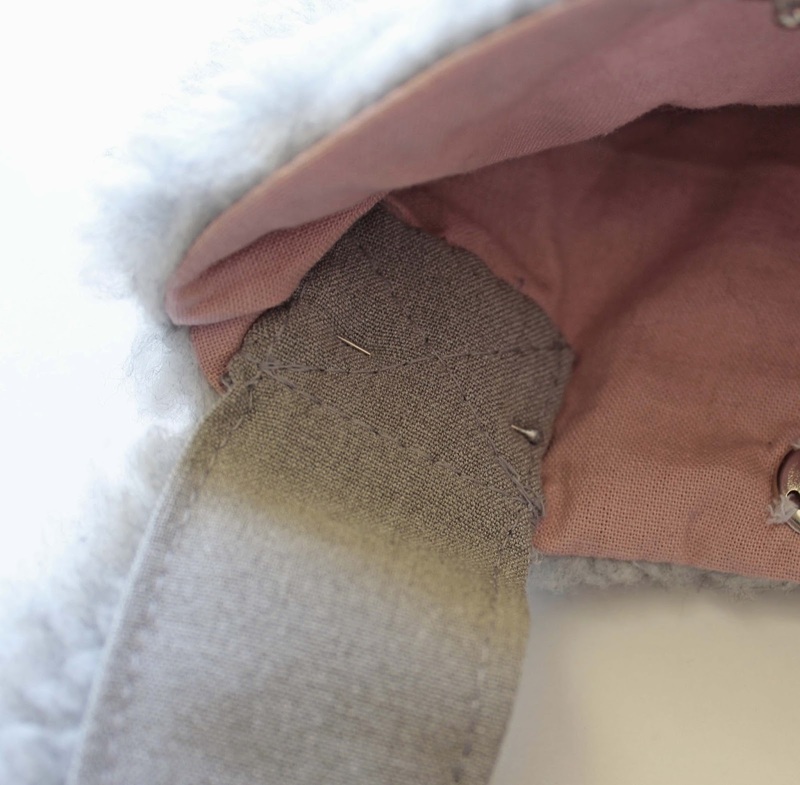 Hand stitch the back of the ears to the strap to hold them upright. Decorate your bag how you wish, bows, ribbons, or my favourite, pom poms! 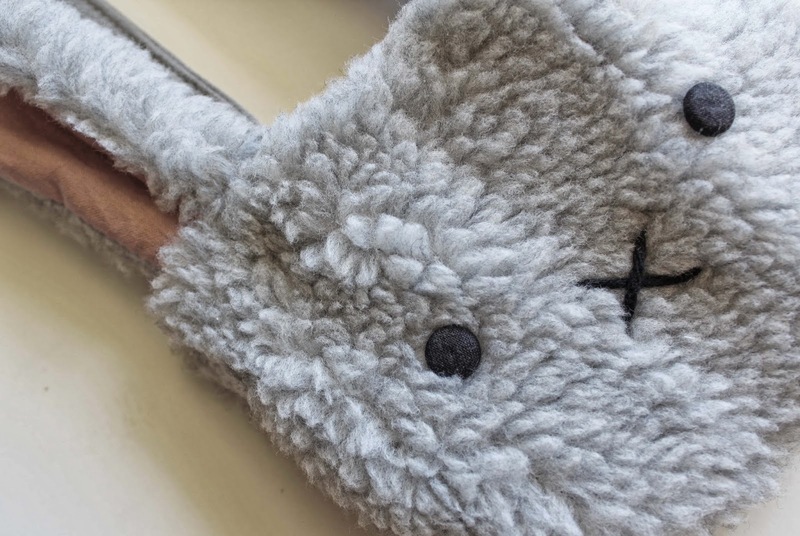 Use your own judgement when embellishing your bag - if it is for a very young child (or one that just likes to pull stuff apart), consider using safety eyes or embroidering them with satin stitch, and ditch the decorative beads and sequins in favour of pom poms and ribbons. 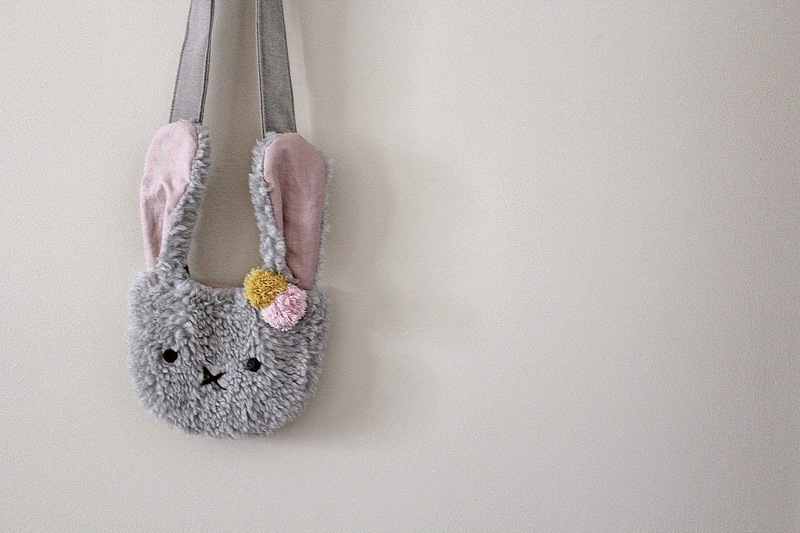 Let your child help decide which decorations they want to use so that they can make a completely unique bag that's all their own. Fill with chocolate, if you must. I'm sure your child will love it even more. Oh my Godness! That's suuper cute!! I try make this :3 !! how cute, thanks for sharing! I wonder if I can get away with carrying this at the age of 36?